Escalating budget cuts as part of the U.S. Congress’ self-imposed “sequestration” have provoked extreme, some might say dangerous, responses from Air Force leaders. Determined to protect three pricey new warplane programs, the flying branch’s top brass and their boosters have proposed quickly eliminating up to 550 existing warplanes—a possible cut of 10 percent to the Air Force’s roughly 5,500-strong fleet of mostly Cold War-vintage hardware. The planes on the chopping block include F-15 and F-16 fighters, A-10 attack planes, B-1 bombers, C-130 airlifters and KC-10 tankers. They would be scrapped to protect what the flying branch considers its top three acquisition priorities: the F-35 stealth fighter, the new KC-46 tanker and the secretive Long Range Strike Bomber. The combined annual cost to develop these three new aircraft is $10 billion—approximately a tenth of the Air Force’s entire budget. To afford the new planes amid sequestration’s 10-percent mandated spending reduction, the flying branch wants to eliminate entire aircraft types. 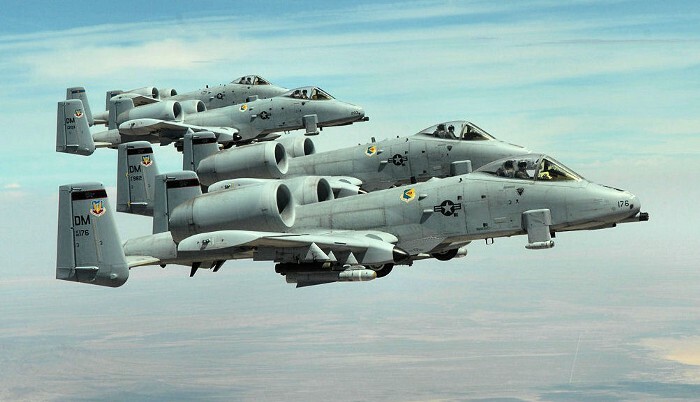 The Air Force and associated think tanks have mentioned the 60-strong B-1 bomber fleet, all 300 A-10 attack planes, the remaining 250 F-15C dogfighters and the 60 KC-10 long-range tankers as candidates for total elimination. Small number of F-16 fighters and C-130 transports could also get axed. But it’s debatable whether a factory-fresh F-35 is truly superior to an upgraded F-15 in air-to-air combat: the latter is faster, more maneuverable and routinely carries more weapons. For its part, the Long Range Strike Bomber exists only on paper. Whether it could outfight the veteran B-1 is anyone’s guess. All told, the warplane programs Welsh and fellow Air Force brass are trying to protect are expected to produce no more than 2,100 new aircraft over the next 30 years. In recent years the Air Force has already cut more than 500 planes in order to save money. If it eliminates another 550 in coming months and possibly more in subsequent budget cycles, it’s possible the Air Force could shrink to a core force barely half today’s size. Subscribe to War is Boring: medium.com/feed/war-is-boring.